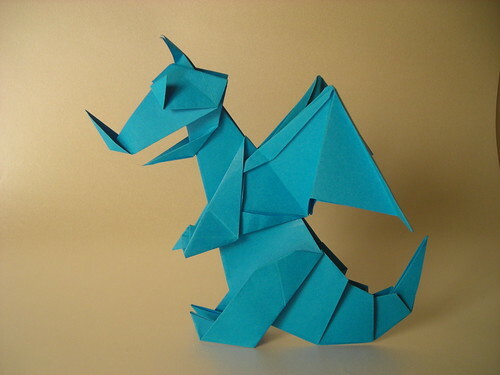 The Origami Forum • View topic - Translate Origami Terms to Spanish? Translate Origami Terms to Spanish? 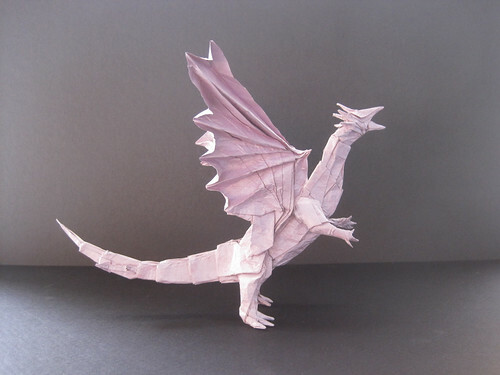 Re: Translate Origami Terms to Spanish? The first one is a crimp fold and the second one is a pleat fold. I'm gonna stick with Happy Folding's translations for this ones. A crimp fold would be a "pliegue escalonado hundido" and a pleat fold would be a "pliegue escalonado", although I have heard it being called also a "pliegue abanico" like you said, and also, a "pliegue acordeón" or a "pliegue zigzag". I'm still amazed there doesn't seem to be a popular term in Spanish for "radial pleat fold", but looks like that's the reality. Although I see the difference between the folds in this tail and the other one I would still say this are crimp folds. What do you think? Gerardo wrote: Although I see the difference between the folds in this tail and the other one I would still say this are crimp folds. What do you think? I had never seen it as a crimp, but now that you mentioned it, I think you're right, it is a crimp. How are pinch folds called in Spanish? I called it "pellizcar" but a friend told me it sounded weird like talking about pinching someone's skin. He suggested the word "señalar" but I think it's a weird word for that action, it means to point. Gerardo wrote: How are pinch folds called in Spanish? I called it "pellizcar" but a friend told me it sounded weird like talking about pinching someone's skin. He suggested the word "señalar" but I think it's a weird word for that action, it means to point. Tell your friend to get in touch with reality, there is nothign wrong with pellizcar. Brimstone wrote: ...there is nothign wrong with pellizcar. Thanks Brimstone. We're gonna use a literal translation: "pliegue pellizco" . How are letter folds called in Spanish? By letter folds (I had never heard this term before) you mean ways to fold letters? If so, I would call them "doblado de cartas". Thanks Brimstone. Yeah, I meant that. There's an international group called ELFA (Envelope- and LetterFolds Association), the term "letter fold" is pretty standard. Do you think there isn't an standard term for that in Spanish? Gerardo wrote: Thanks Brimstone. Yeah, I meant that. There's an international group called ELFA (Envelope- and LetterFolds Association), the term "letter fold" is pretty standard. Do you think there isn't an standard term for that in Spanish? Letter fold for me is like saying "preparación de cartas". Literal meaning is like "doblado de cartas" or " plegado de cartas". I feel bad with all alternatives i don't like them. Welcome to the discussion Kundalini . 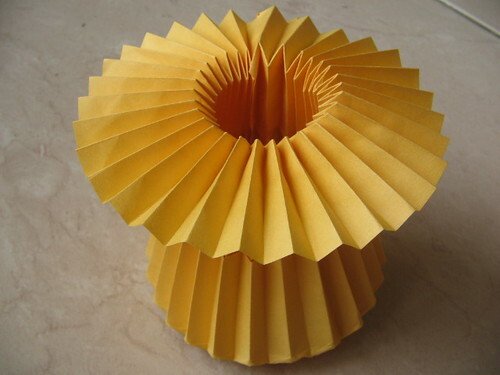 I've never seen the expression "box-pleating" translated by the Spanish-speaking origami community, but if it was it should be called "tableado". Both terms mean the same thing in fashion. It's a type of pleat you can sew in clothing like mini-skirts for example. Personally, I wish they used that word instead.